Endowment funds are intended to serve our donors' philanthropic goals and to support the university's mission in perpetuity. Endowments are frequently named for individuals or their family members. We encourage you to communicate directly with us if you are considering making endowed support for UWM a part of your estate plans. We can help provide suggested language that would accomplish your philanthropic goals. 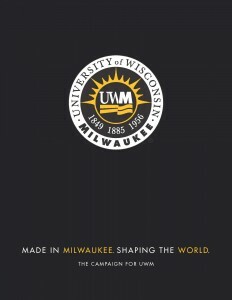 The UWM Foundation offers several options for establishing such funds. Most of our endowment funds are established with a $50,000 minimum gift amount, and are tailored to serve specific purposes chosen by the individual donor. For donors seeking to support "core" purposes, such as general scholarships, or academic programming without further restrictions, a core endowment may be established with $20,000. For an endowed professorship, the annual allocation from the fund must provide all or a substantial portion of the faculty member's salary. 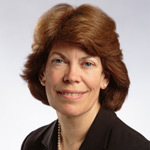 In recent years, such endowments have been established with gifts of $2,500,000. Our current policy allows 4% of the previous 3-year average Fund balance to be allocated from the fund for spending each year. The spending policy percentage rate is determined annually by the UWM Foundation Board of Directors. We offer two types of endowments - traditional endowments and flexible funds. Both types are invested for long-term growth, and both are intended to last in perpetuity. However, for traditional endowments, the principal can never be invaded, even in times of historically low earnings. In contrast, flexible funds permit a limited invasion of the principal, up to the value of the annual spending allocation. In this way, flexible funds ensure a steady stream of spendable funds, in good times and during times of economic hardship, when our students and faculty often have the greatest need.